Studio Carry On Harry , Singapore : Our Asian Canadian Guest for this week Luv Randhawa joined us for conversation about his new release Merry Go Round and future plans for entertaining the massess both in Asian community as well as expanding in international arena with his new fans from West . Luv Randhawa known for his bhangra music across all the globe. This is a new side to the high energetic performer which you haven’t seen before. The journey began back in 1999, A true pioneer in the Bhangra fusion movement. You all probably remember him for his debut solo hit, “Livin’ it Up”, going on from there Luv has collaborated with a number of huge North American artists. With lots of big releases under his belt, “Dhol Te” Ft Raju Johal, Inder Kooner and Gagan Sharma and produced by Nick Chowlia – As well as a debut solo album called “This Side of Luv”. Also not forgetting “Kichaay Selfie Kudi” with Harj Nagra. 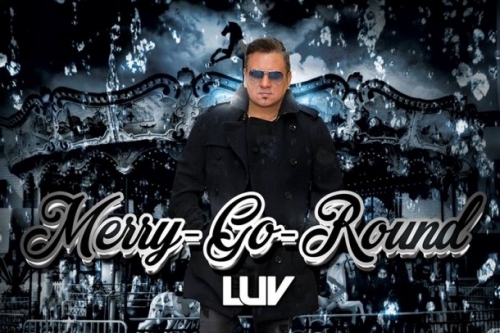 Luv has well and truly experimented with his new sound, always captivating and shining his personality through and through – ‘Merry Go Round’ brings a whole new rhythmic soulful vibe. There is lots more new music coming from this duo real soon! ‘Merry Go Round’ will be available on all major digital stores worldwide. Enjoy The Punjabi and English Talks with Luv on Carry On Harry Show.